From 2,000 to 6,000 sq.ft. Premier Homes is passionate about creating beautiful homes with exceptional style and comfort. 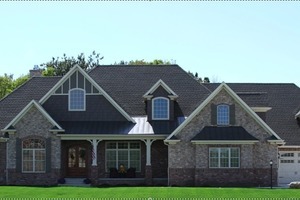 Our vision is to take your home dreams and build them with quality materials, superior design, and trustworthy service. With our experience, we specialize in state-of-the-art designs paying close attention to every detail in the homes we build. We are also committed to building Green Living residences that are energy efficient and benefit the environment. Premier Homes proudly serves the East-Central Illinois communities. Why Premier Homes of Illinois, Inc? Your home says a lot about you... your style... your individuality. Nothing expresses your individual style like a custom home where every feature and detail reflects your individual taste, style, imagination and appreciation for excellence. Our goal is to deliver a home that compliments you.